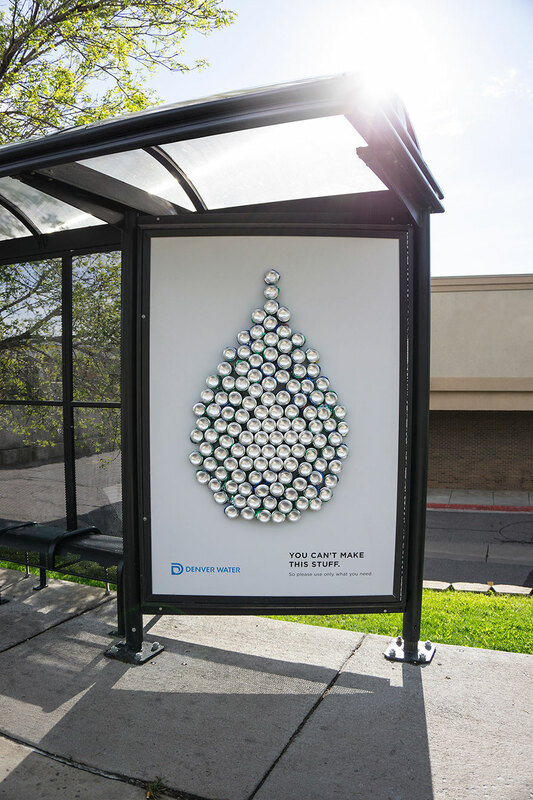 Did you know that an adult human body is about 60% water? 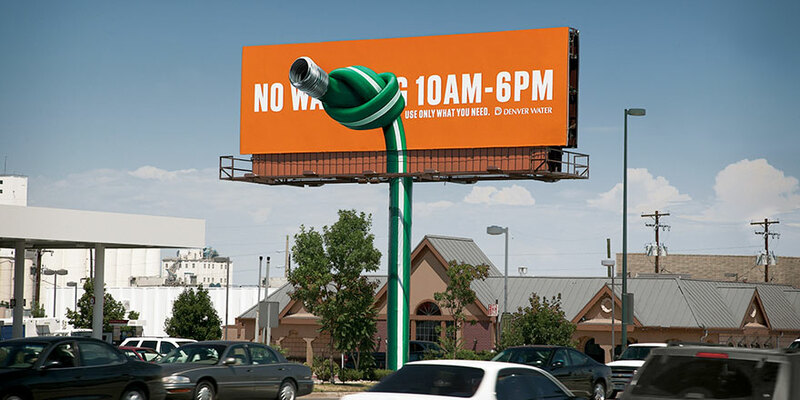 It’s the most important chemical substance we need to survive yet we only seem to think about it when we get thirsty. 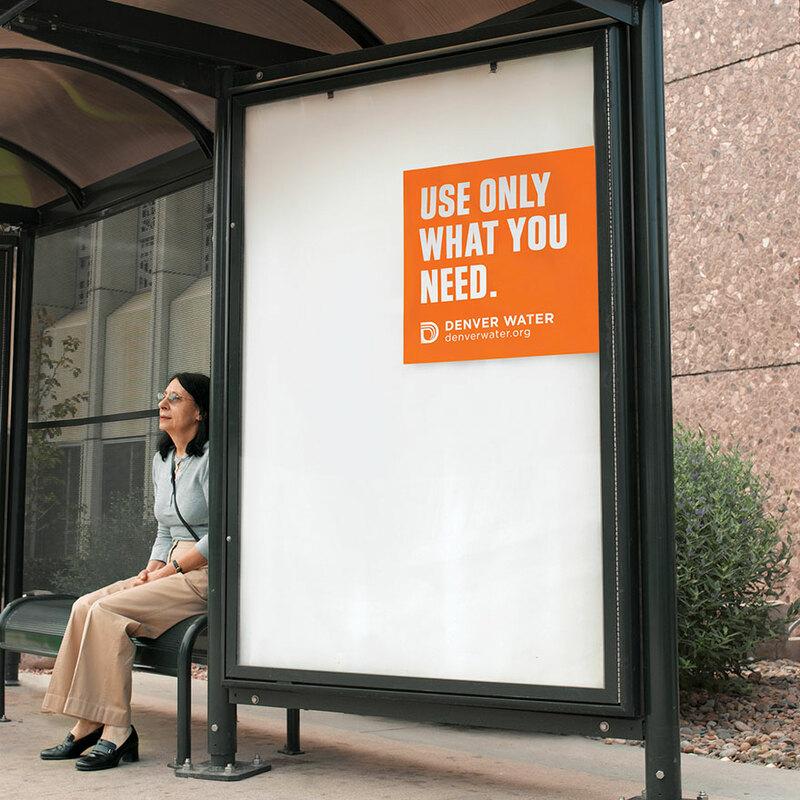 Sadly, a lot of water is wasted in ways that can easily be reduced: taking a shower for ten minutes – why not make it five? 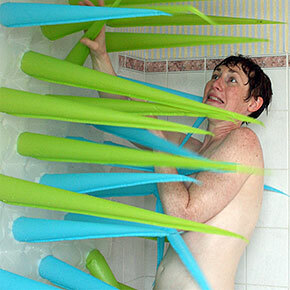 Ignoring that dripping tap – why not get around to fixing it? 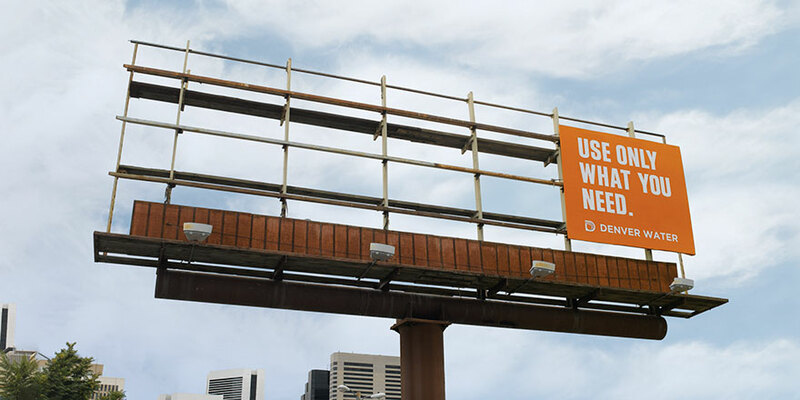 Sometimes it only takes a small step to make a change. 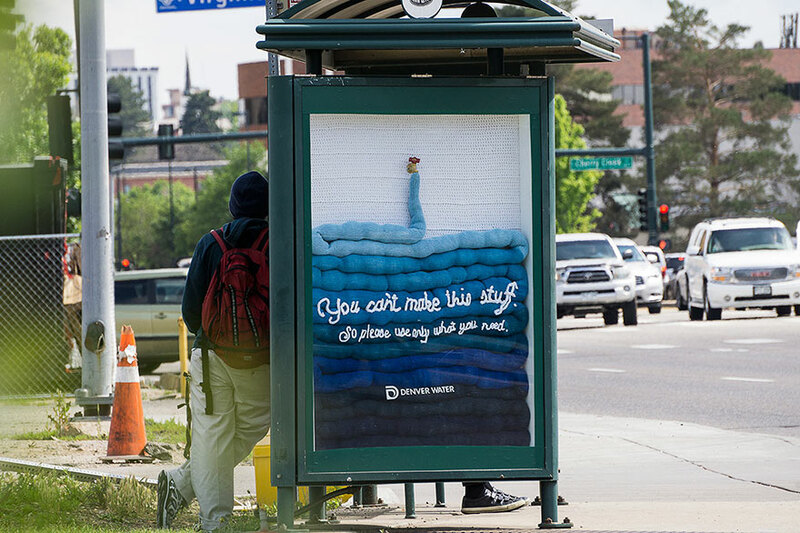 To highlight the importance of conserving water, Denver Water collaborated with creative agency Sukle and launched a campaign called “Use Only What You Need”. 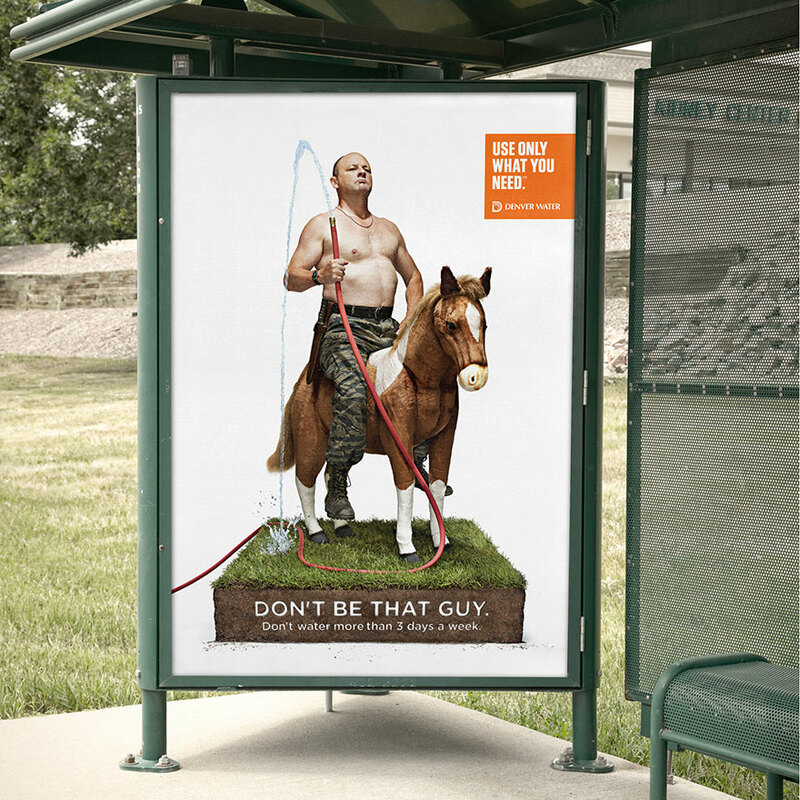 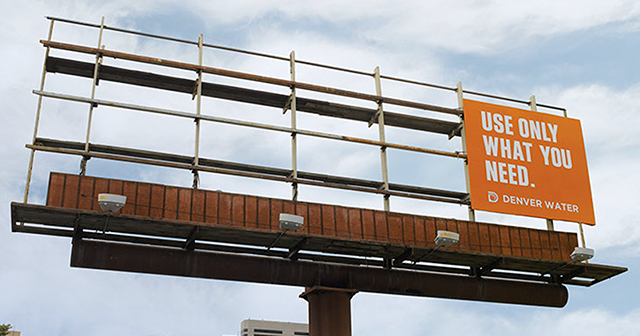 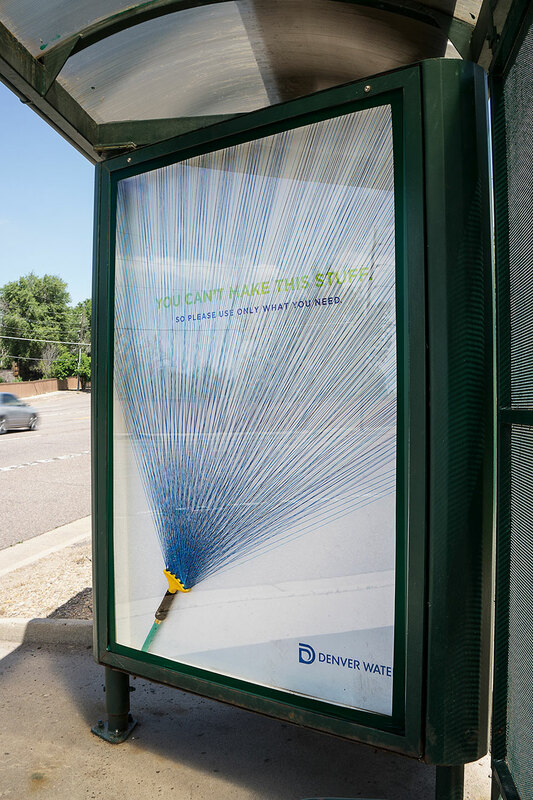 The campaign featured a series of creative ads encouraging people to not waste water and managed to bring down water consumption in the city of Denver by over 20 percent! 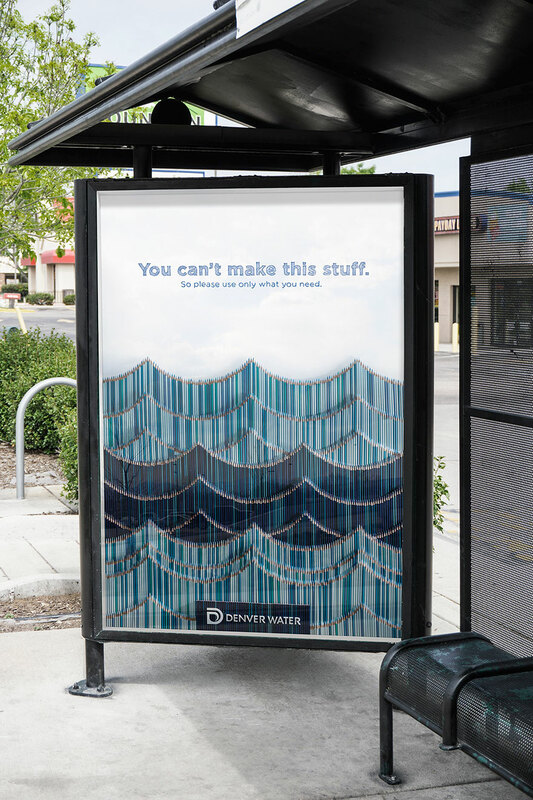 “In 2006, the Denver Water Board declared a goal to reduce water consumption by 22% in ten years. 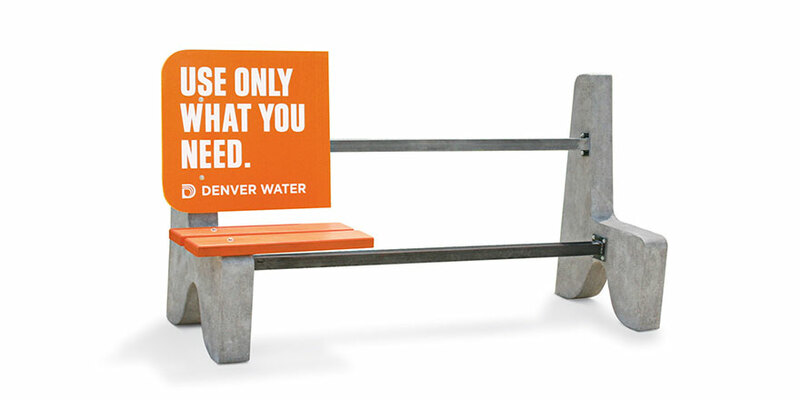 After the first three months of the Use Only What You Need campaign a 21% reduction was reported by the utility and those savings have continued through today,” write Sukle. 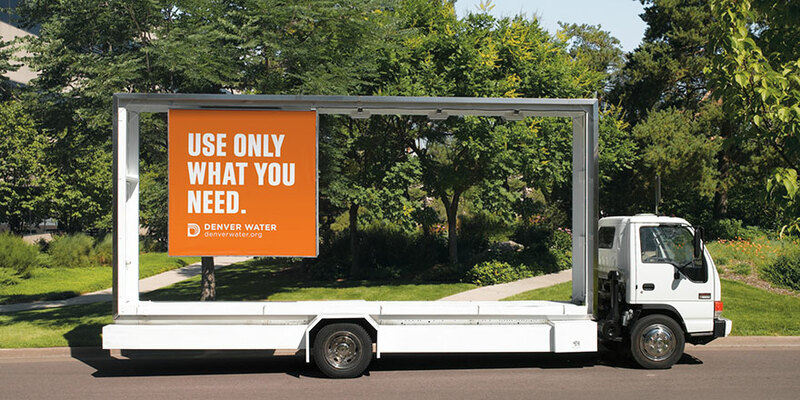 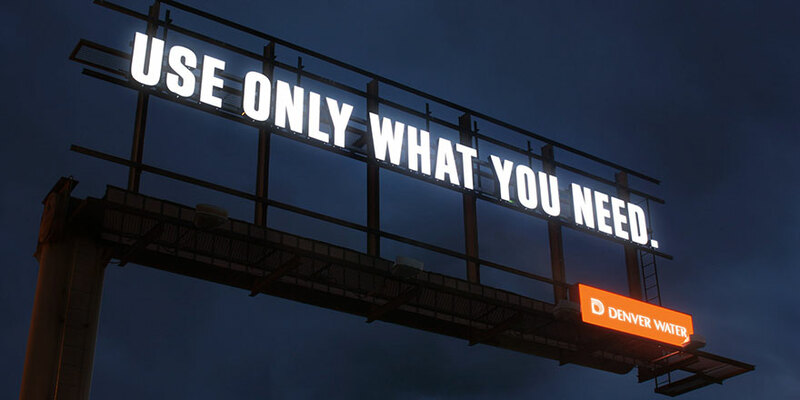 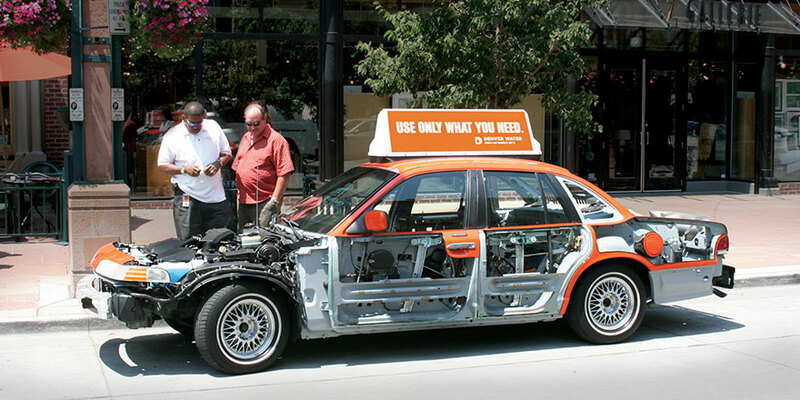 Sukle tried to emphasize the importance of conservation by designing creative ads and billboards that, like the slogan says, only use what they need. 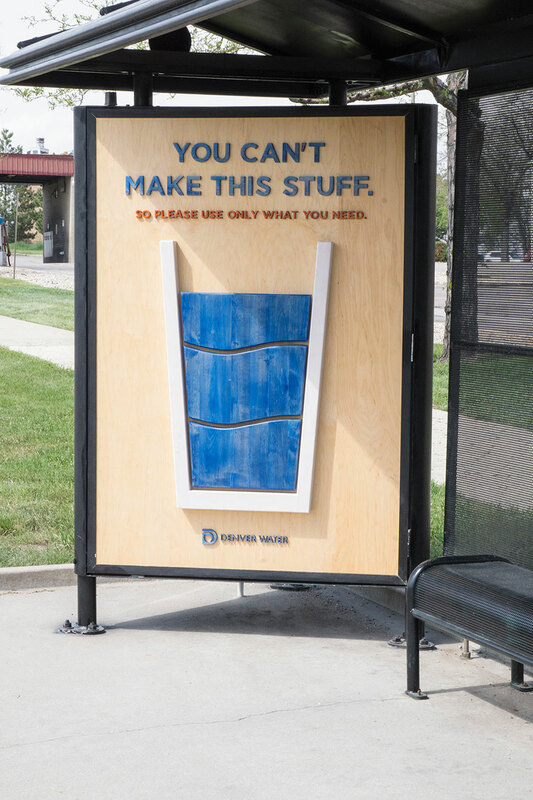 Along with the creative ad campaign, Denver Water encouraged people to switch to WaterSense high-efficiency toilets that save nearly 4,000 gallons of water a year and even offered a $75 rebate. 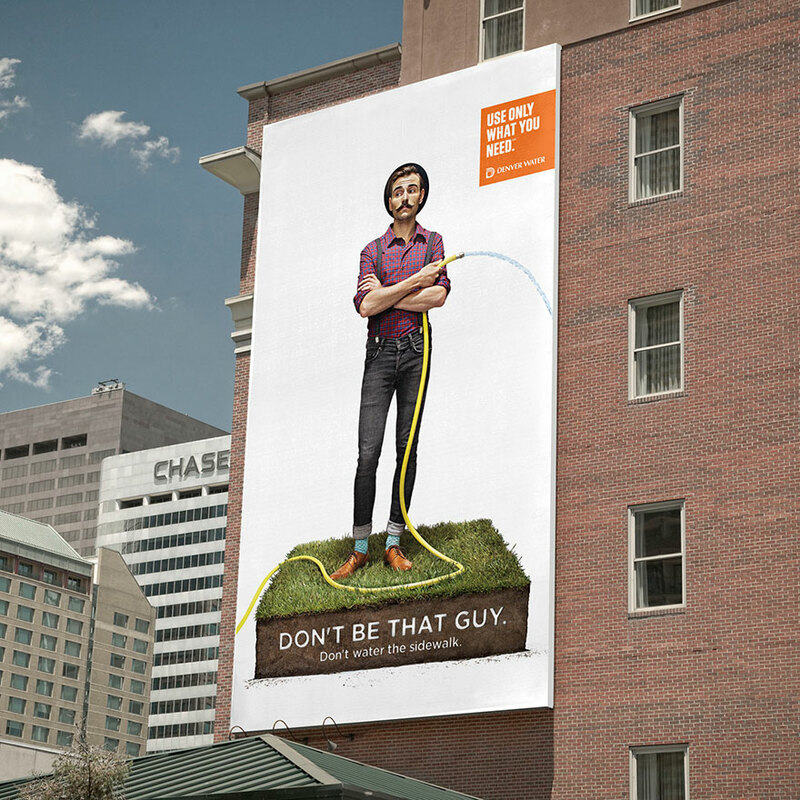 Another problem Denver Water and Sukle tried to tackle was excessive water waste when watering lawns. 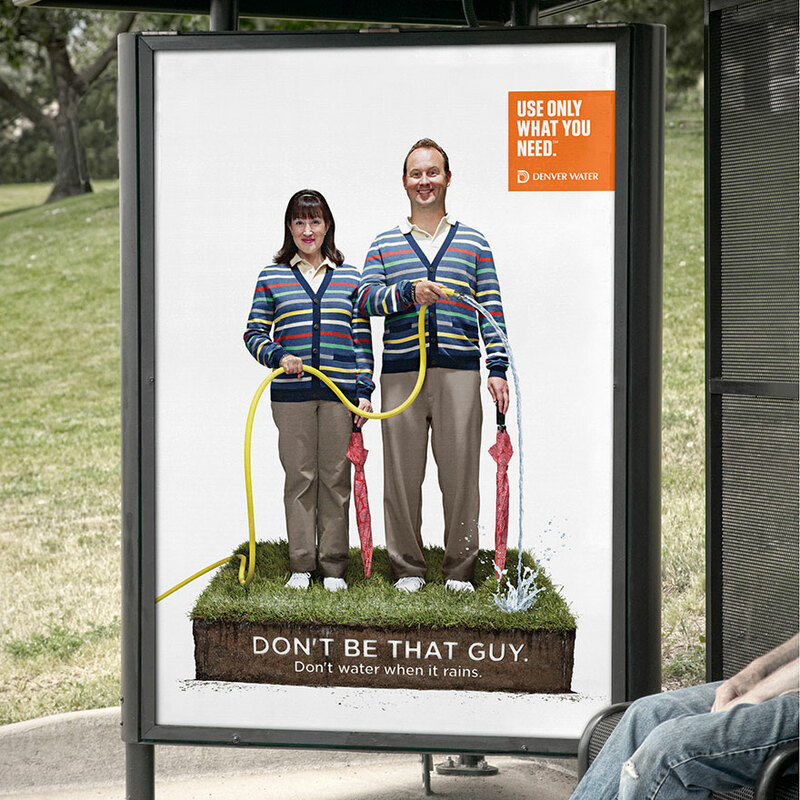 “Don’t be that guy,” say the funny billboards. 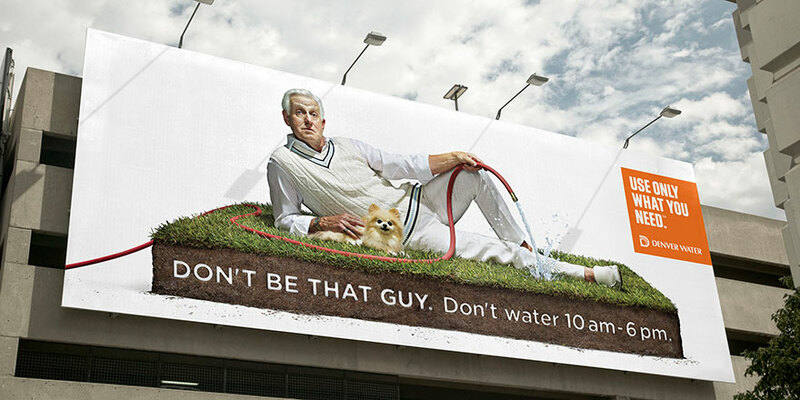 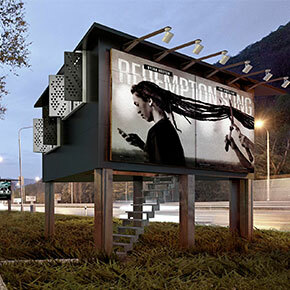 Check out the rest of the creative advertisements in the gallery below!